Josoft Technologies offer varied services such as, customer support, technical support, telemarketing, insurance processing, data processing, forms processing, bookkeeping and internet / online / web research. Josoft Technologies believe in creative and inquisitive internet marketing to give our clients an opulent internet marketing strategy at a cost-effective price. Our team has years of experience that helps them work swiftly and modify their approaches according to the prevalent norms. Outsourcing internet marketing services at Josoft Technologies is an economical solution, and we bring our expertise in areas such as Facebook, Twitter, Instagram, blogging, Google analytics, and banners ads to produce dynamic results, every time. 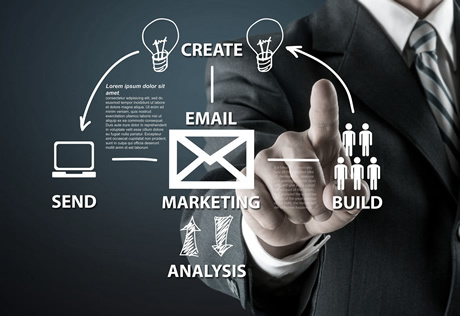 Email promoting may be presently old fashioned yet you can in any case use messages to associate with your clients gave your representative the right systems. Sending a great many messages to "potential" clients might no more work which is the reason we will assist you with identifying the objective business sector. We will offer you some assistance with creating an expert emailer inside of minutes with altered formats, simple altering and alluring outlines.